The real estate market is in the midst of a major comeback. Halleluhia! Sales are greater than any time since 2007. (Doesn’t mean price appreciation..not yet!) Consumer confidence is increasing. Economists are now saying housing is the major tailwind to our nation’s overall economic recovery. There is one major challenge that could stall the housing market: a lack of inventory. I’ve been seeing the numbers decreasing in our area. “Total housing inventory at the end of December fell 8.5 percent to 1.82 million existing homes available for sale, which represents a 4.4-month supply at the current sales pace, down from 4.8 months in November, and is the lowest housing supply since May of 2005 when it was 4.3 months, which was near the peak of the housing boom. Note that these numbers are nationwide stats. Listed inventory is 21.6 percent below a year ago when there was a 6.4-month supply. Raw unsold inventory is at the lowest level since January 2001 when there were 1.78 million homes on the market.” Nationwide. I see the wave coming our way, too. A recent survey by Redfin reveals that the challenge seems to be continuing into 2013. New listings taken in the first 14 days of the year decreased by 30% as compared to the first two weeks of 2012. A lack of supply will be good news for prices in the short term. However, for a long term recovery in housing, an increase in current inventory is crucial. Would you like me to tell you what your home is worth in today’s market? 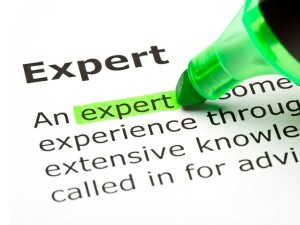 I’ve been an expert in the Port Jefferson and the surrounding North Shore towns since 1987! Contact me anytime. I will be happy and honored to meet you. Jolie Powell….A Name You Can Trust!